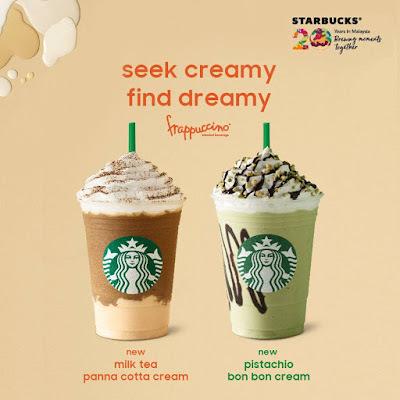 Inspired by the taste and texture of gelato, Pistachio Bon Bon Frappuccino® is a whimsical beverage handcrafted by Starbucks consisting blends of authentic ground pistachio nuts with decadent chocolate sauce, topped with fluffy whipped cream with chunky, crunchy pistachio and waffle pieces. This unabashedly nutty and chocolatey serving of delight also creates a pastel green canvas when the vibrant green shades of pistachio blends with the cream-based Frappuccino. Featuring an unexpected layer of panna cotta pudding, Starbucks takes a new spin on everyone’s favorite milk tea with a western twist that will bring a sensorial surprise to customers in every sip of the smooth and aromatic milk tea. Topped with fluffy whipped cream and a sprinkle of crunchy pistachio and waffle pieces, Milk Tea Panna Cotta Frappuccino® packs an intense black milk tea note from premium grounded tea leaves, with a sweet and creamy texture from the panna cotta for a balanced yet charismatic flavor profile. 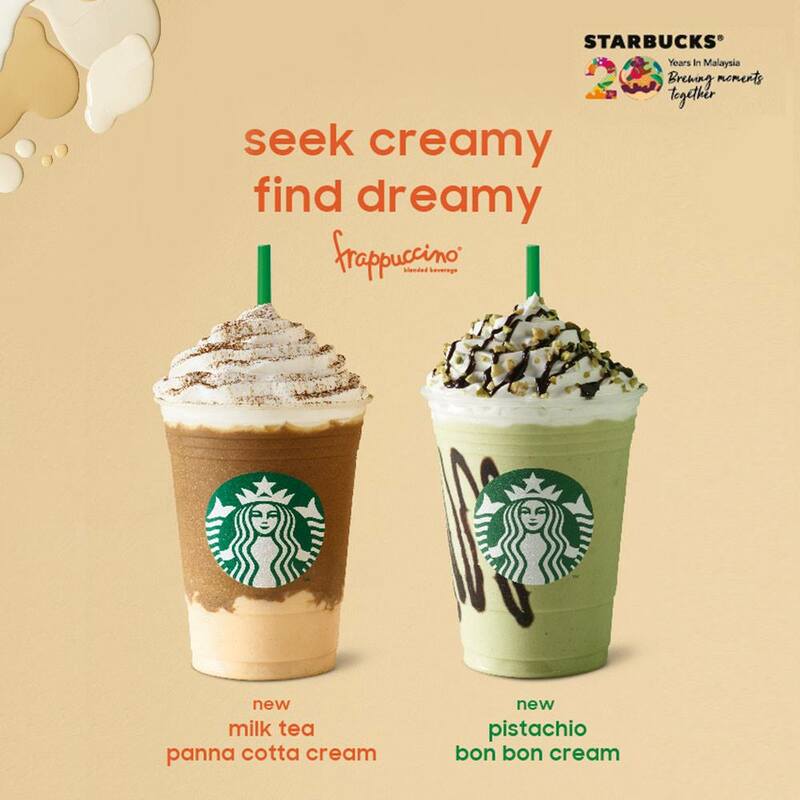 The handcrafted Starbucks® Pistachio Bon Bon Frappuccino® and Starbucks® Milk Tea Panna Cotta Frappuccino® are priced at RM 17.50 onwards. All the Summer 2 Offerings are available at all stores starting from 5 June 2018, while stocks last. For more information, please visit the Starbucks Malaysia website at www.starbucks.com.my.